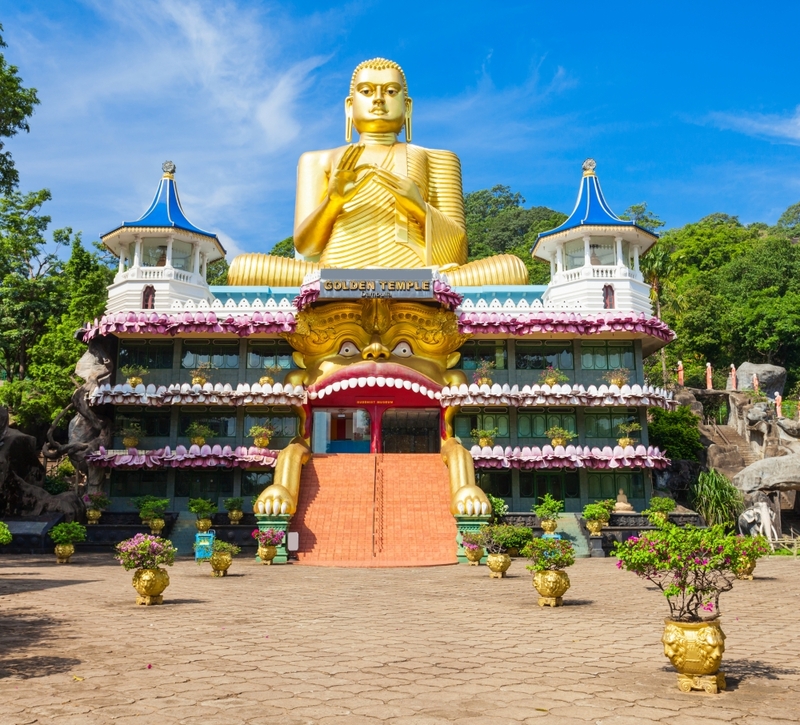 Dambulla is a large town, situated in the Matale District, Central Province of Sri Lanka, situated 72 km (45 mi) north of Kandy. Due to its location at a major junction, it’s the centre of vegetable distribution in the country. 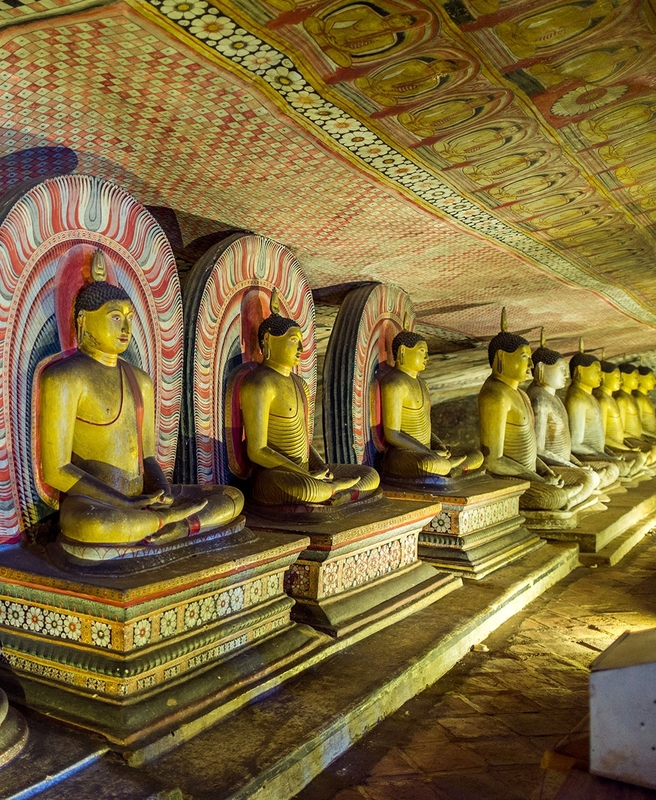 The Dambulla temple is composed of five caves, which contain statues and paintings. 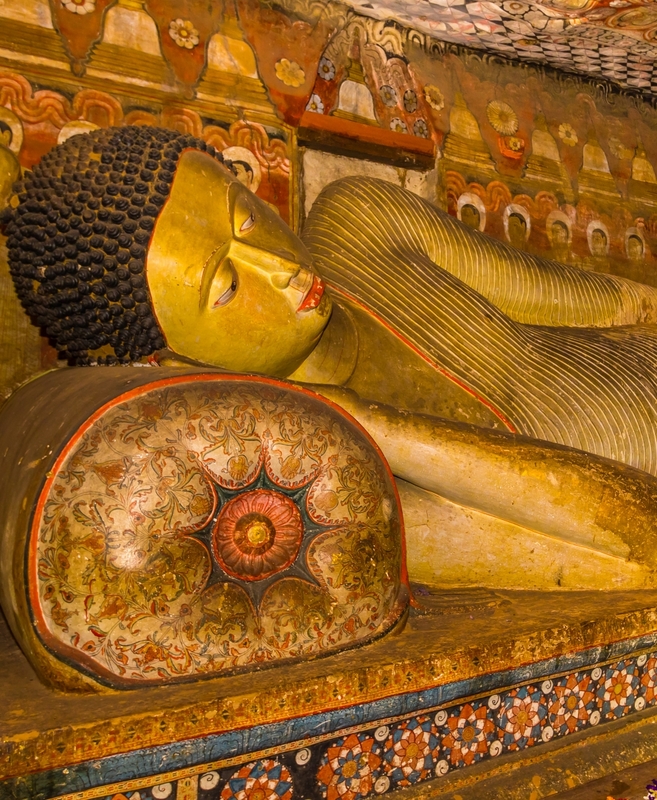 These paintings and statues depict the Buddha and his life. There are a total of 153 Buddha statues. 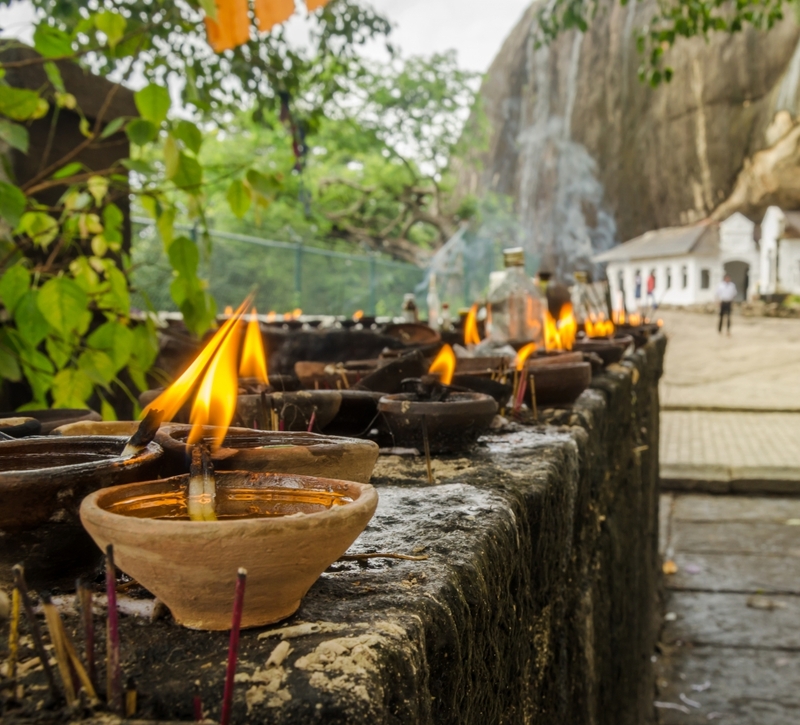 The Dambulla Rock offers a panoramic view of the surrounding area, including the Sigiriya rock Fortress.